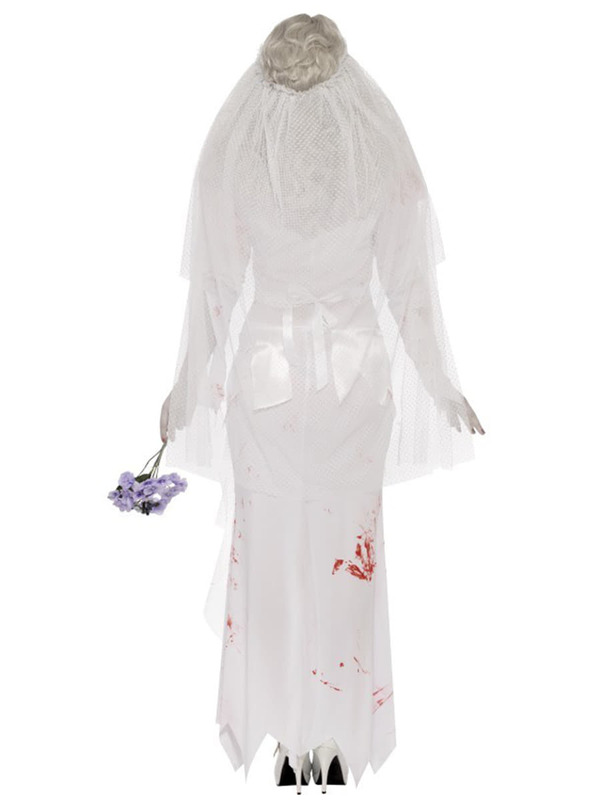 Includes a long white dress, blood stained, a veil and a bouquet of lilac flowers. 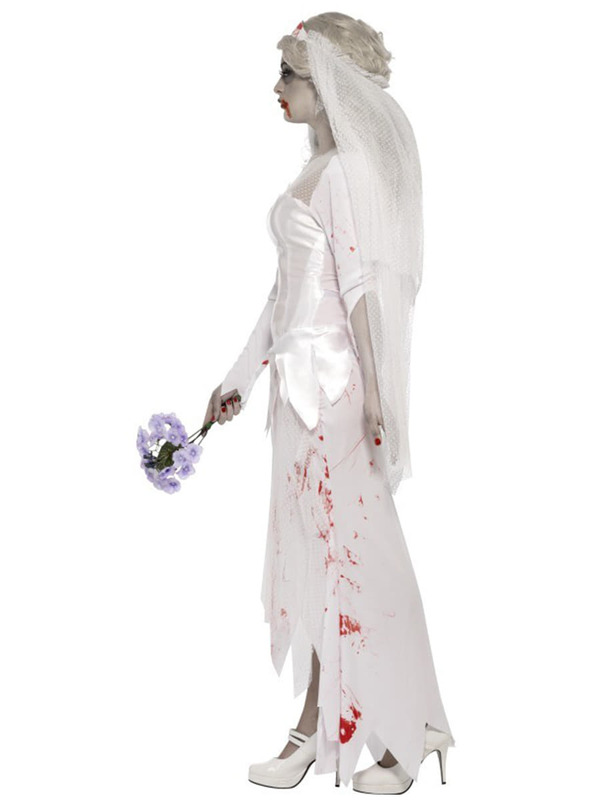 Upload your photos to Instagram with the hashtag #funidelia followed by #funidelia03404. 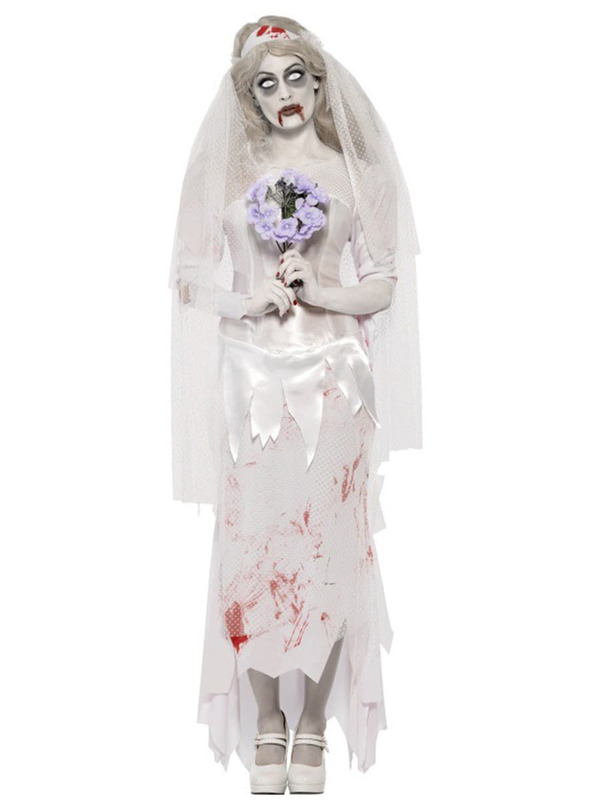 Product Rating: "Zombie Bride Costume"